We lose a lot of stuff around our house. My husband currently can’t find his ear buds. And for an audiophile who bought and returned approximately 13 pairs of earbuds before he found ones he likes, that’s a big deal. But they’ve gone missing for about 2 weeks now. I can’t find my black sweater. I wear it all the time. But it disappeared about the same time the ear buds did. I probably left it somewhere, but I have no recollection of wearing it out and taking it off. My eldest son recently lost a special coin that was given to him by the Chief Master Sergeant of his AFJROTC unit. Ended up it was in his book bag all along. That stomach dropping, heart squeezing panic while he couldn’t find it, though, were very real. I’ve been saying for years that I want to find a bumper sticker that says, “Of all the things I’ve lost, I miss my mind the most.” That’s classic. The other night, my daughter’s school had an evening celebration for all the families. Each class presented something that they’d been learning about in their all-school unit on missions. My daughter dressed in a traditional Kazakh outfit loaned to her by a friend of mine who had been to the country. To accessorize, she wore a little blue-beaded stretchy bracelet. As I was chatting with friends out on the patio afterward, enjoying food from different nations, Morgan came up to me in a panic, wanting to borrow my phone. Not to make a call, mind you, but to use the flashlight feature. In a little while it was time to leave, my phone battery had died, and Morgan was still upset. Playing by the playground, somehow she had lost that bracelet when someone had attempted to grab her and gotten ahold of the bracelet instead. She was heart broken that it was lost. This little bracelet wasn’t worth anything to anyone but Morgan. That night, finding that bracelet was her sole focus. But it was very dark and a little iPhone flashlight wasn’t doing the trick. She went home without it. The next day, on another errand at the church building where our school meets, I remembered about the bracelet. Knowing it would be a lot easier to look in the bright light of a sunny morning, I went around back and started my search. Within a few minutes, I found the lost treasure. And Morgan was grateful. In order to find Morgan’s little bracelet in the expanse of the church playground, I needed a greater light; the light of the sun. As we learned throughout the last couple of weeks in school, spiritual darkness veils much of the world, including, increasingly, North America. Unless the Light of the World shines into that darkness, that which is lost will not be found. He’s a much brighter light than anything we can bring on our own. 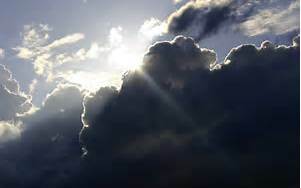 Will you help push back that darkness by bringing His light into the dark places? David and I have the opportunity several times a year to work at a JESUS Film Executive Briefing. These are large, fundraising events for our ministry always held at very swanky places. The hours are long, but the benefits of hearing how God is working in people’s hearts all over the world are amazing. And, on my Motel 6 budget, I’d never get to places like this on my own. 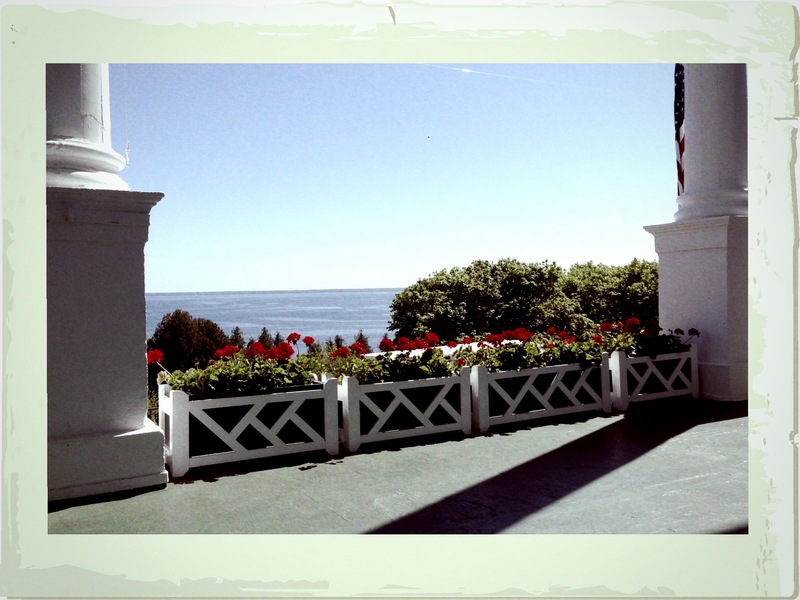 Our most recent trip was just two weeks ago to the Grand Hotel on Mackinac Island in Michigan. I’d never been to Michigan. The Grand was the site of the 1980s film “Somewhere in Time” with Christopher Reeve and Jane Seymour. The hotel is incredible–126 years old. 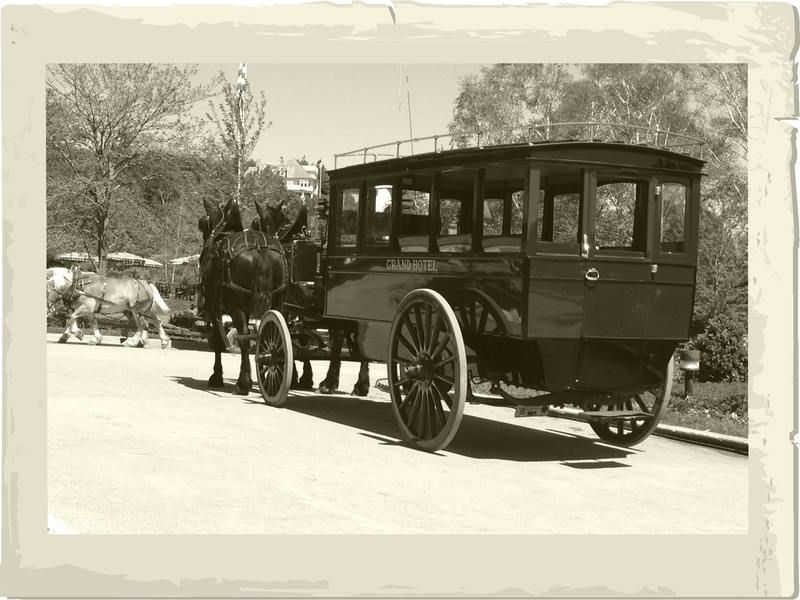 Motorized vehicles are not allowed on the island, so everyone travels by horse or bicycle. It’s idyllic, quiet, peaceful–and cold. It virtually shuts down in the winter when Lake Huron freezes and the only mode of transportation is snowmobile. Even with a Starbuck’s on the island, I felt as if I had stepped back in time, like Richard Collier in the movie. Oh, there are all the modern conveniences–running water, indoor plumbing, cell phone service–but the quaint atmosphere devoid of all engine noise (well, there is a small airport) created a sense of peace that I so long for back home. I think if I could, I would live in a place like this–only it would be 75 degrees year round. I’m not really a cold-weather person. We’ve stayed in other fancy hotels before, but none with the history of the Grand. Apparently, the hotel is owned by a single family rather than a corporation. In fact, one of our JESUS Film Project staff members had a chance encounter with the owner and chairman, Dan Musser, and his children at Sadie’s, the ice cream shop in the hotel, the night before we were to leave. Mr. Musser asked Gabe and Rachel’s young son if he had had some ice cream and, impressed by his enthusiastic answer about the strawberry cone he had consumed, Mr. Musser then gave him a gift card in the shape of a dog bone, good for a free scoop. Oh, to sit each night on the porch of the Grand and reflect on God’s goodness while gazing at the water of the lake. In my ordinary world, I would never be able to spend time at such places. But God has blessed us immeasurably to be a part of this ministry and a part of this briefing team that serves at these events. I don’t take it for granted. And when such privileges help bring people into the kingdom of God, it’s incomparable. During this event, and others like it in other locations, our guests pledged to fund new language translations of the JESUS film, projects such as the JESUS Film Media app and tools like motorcycles for film team workers in hard-to-reach countries. Praise God that He has blessed so many people with the income and the hearts to help reach the world for Christ. And praise God that I get to be a part of seeing that happen. Even if it means having to hang out at places like the Grand.